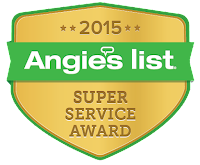 We’ve Earned a Prestigious Angie’s List Super Service Award… Again! We have earned the service industry’s coveted Angie’s List Super Service Award, reflecting an exemplary year of service provided to members of the local services marketplace and consumer review site in 2015. This is our eighth consecutive year earning the Super Service Award which reflects our consistently high level of customer service, and we have our loyal customers to thank! We take our relationship with our customers very seriously. From our management to our installer team, we are all responsible for customer satisfaction. Receiving this award is a great acknowledgement of that mission. This honor is bestowed annually on approximately 5 percent of all the businesses rated on Angie’s List. 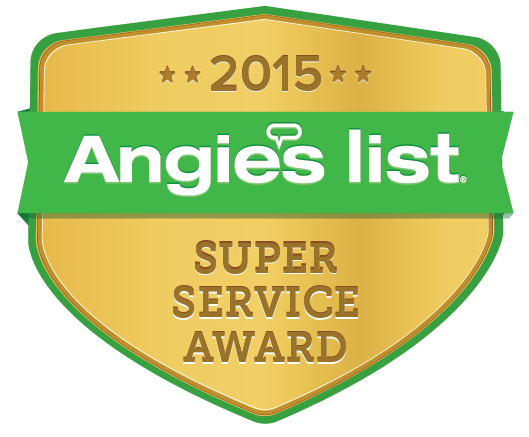 Angie’s List Super Service Award 2015 winners have met strict eligibility requirements, which include an “A” rating in overall grade, recent grade, and review period grade; the company must be in good standing with Angie’s List, pass a background check and abide by Angie’s List operational guidelines.